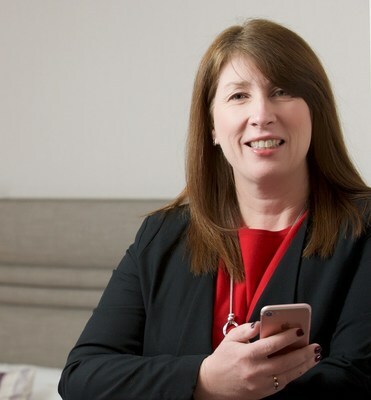 EDINBURGH, Scotland, April 16, 2019 /PRNewswire/ -- Dependence on mobile phones when travelling is brought into sharp focus by a survey of more than 3,600 travellers which reveals a growing appreciation for bespoke travel apps. Research commissioned by Edinburgh-based hospitality firm Criton, highlights that loyalty programmes, self-check-in/out and accessing your hotel room via a digital door key are primary requirements of today's guests. The findings highlight crucial information for all hoteliers, with guests' smartphones now recognised as an essential tool for delivering and improving their travel experience. With 45% of respondents travelling for leisure more than four times a year, findings showed that 62% of respondents regularly use an accommodation app, with the figure increasing to 67% amongst business travellers. If their favourite hotel was to have its own app, 74% of respondents overwhelmingly stated they would use this digital channel, with only 10% favouring an in-room device such as a hotel's smartphone or tablet. This reinforces Criton's core belief that the future of hotel technology is own device. Hoteliers no longer need to absorb the cost of installing in-room devices when their guests travel with their own smartphone and are more comfortable with the apps and content within it. 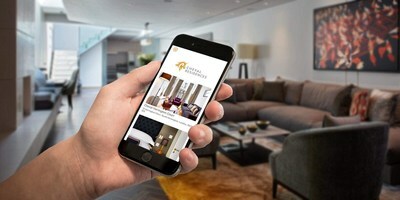 "Increasingly, today's travellers are downloading apps that help them get around and stay connected with their hotel. That level of tech awareness or even dependency also raises expectations for information, guest services, such as check-in, digital key and offers and incentives to reward their loyalty. "Respondents to the survey were people who travel regularly, with the majority opting for a mid-range hotel or accommodation. It is increasingly clear that adopting technology has to be seen as an imperative for all hospitality providers; it is not something purely for the major franchises." As the UK's first intuitive app builder for the hospitality sector, Criton provides the platform for businesses to wrap all guest-facing technology into a branded portal that guests can download on their own phone. Guests today travel with their own mobiles, tablets and laptops and Criton believes that the future of guest-facing technology is 'own device'. Founded in 2016, Criton was developed by Information Apps for the hospitality sector. Julie Grieve, Founder and CEO secured £5m investment in November 2017. With offices in Edinburgh and London, the company now employs 30 full-time staff.